Harare - Legendary Zimbabwean footballer, Peter Ndlovu has once again poured out his heart for his country's lack of qualification at the world's biggest soccer showpiece. Zimbabwe were disqualified from the qualifiers by FIFA over a debt that ZIFA owed to their former coach Brazilian Valinhos. Ndlovu, who inspired the Warriors to two appearances at the Nations Cup finals, passionately asked on twitter when Zimbabwe would play its first game at the World Cup. “When’s Zimbabwe’s first game? #WorldCupRussia2018” wrote Ndlovu. In turn, the message generated a lot of comments and it is not the first time Ndlovu has posted such a World Cup message involving his home country Zimbabwe. He also led his country to their maiden Africa Cup of Nations appearance in Tunisia in 2004. It is a World Cup dream which, unfortunately, the Mamelodi Sundowns team manager can no longer do much about in terms of playing a part in inspiring his country there. Even the expansion of World Cup participating teams to 48 teams, up from 32 doesn’t really bring joy to this part of the continent. And interesting responses flooded Ndlovu’s timeline. One Tamuka Chihoto wrote, “ Only you could take us there Nsukuzonke”. R Ndabezitha wrote that: “When you start coaching Zim boss”. Peter’s cry came as the Warriors celebrated another COSAFA Cup title in South Africa last weekend. 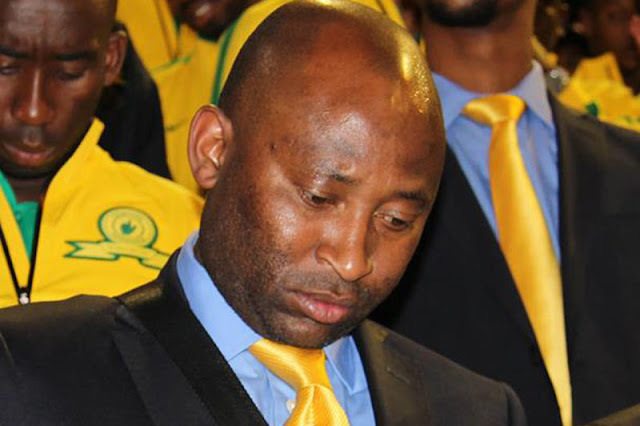 Ndlovu is a Zimbabwean former professional footballer and is currently the Team Manager at Mamelodi Sundowns F.C. a Premier Soccer League club in South Africa. He originally comes from Binga district in North Western, Siabuwa Zimbabwe. He was however born in Bulawayo, and played professionally as a striker from 1988 until 2011. He played for Highlanders in Zimbabwe, for Coventry City in the Premier League and in the Football League for Birmingham City, Huddersfield Town and Sheffield United. In South Africa he played for Mamelodi Sundowns, Thanda Royal Zulu, Highfield United and Black Mambas. He was capped 100 times by his country, scoring 38 international goals.